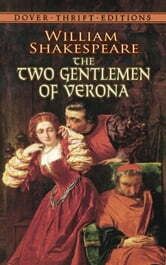 Valentine and Proteus are devoted comrades ― until they travel to Milan and meet Silvia, the Duke's ravishing daughter. Torn between the bonds of friendship and the lure of romance, the two gentlemen are further bedeviled by Proteus's prior commitment to Julia, his hometown sweetheart, and the Duke's disdain for Valentine. Thus the stage is set for a comic spree involving a daring escape into a forest, capture by outlaws, and the antics of a clown and his dog. 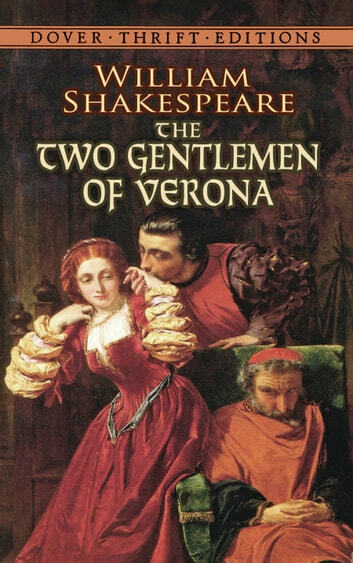 Written early in Shakespeare's career, this madcap romp embodies many themes and motifs the playwright would explore at greater depth in his later works. The first of his plays in which the heroine dresses as a boy to seek out her beloved, it's also the first in which the characters retreat to the natural world to brave danger and disorder before achieving harmony, and the first in which passionate youth triumphs over dictatorial elders. And amid its merriment and jests, the play also raises thought-provoking questions about conflicts between friendship and love and the value of forgiveness.